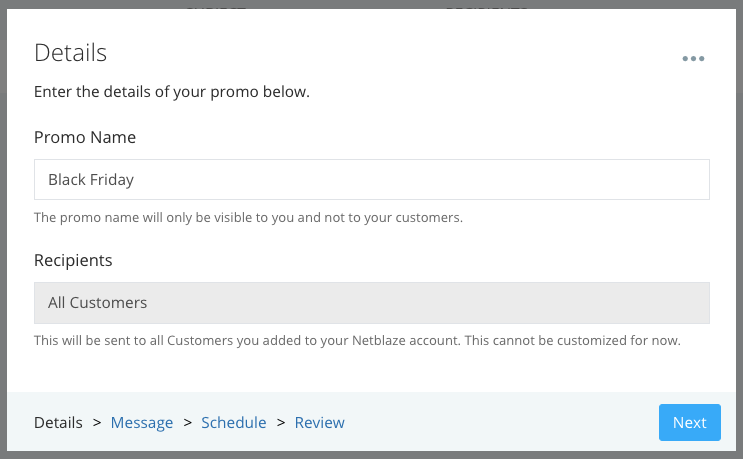 NetBlaze comes with a feature that allows you to quickly and easily communicate with your customers whatever you want to broadcast -- may it be a sale, promo, anniversary party, etc. You can also send the announcement via email or text message. This guide will show you how to send the announcement via Email. You can read the guide for text message here. 2. 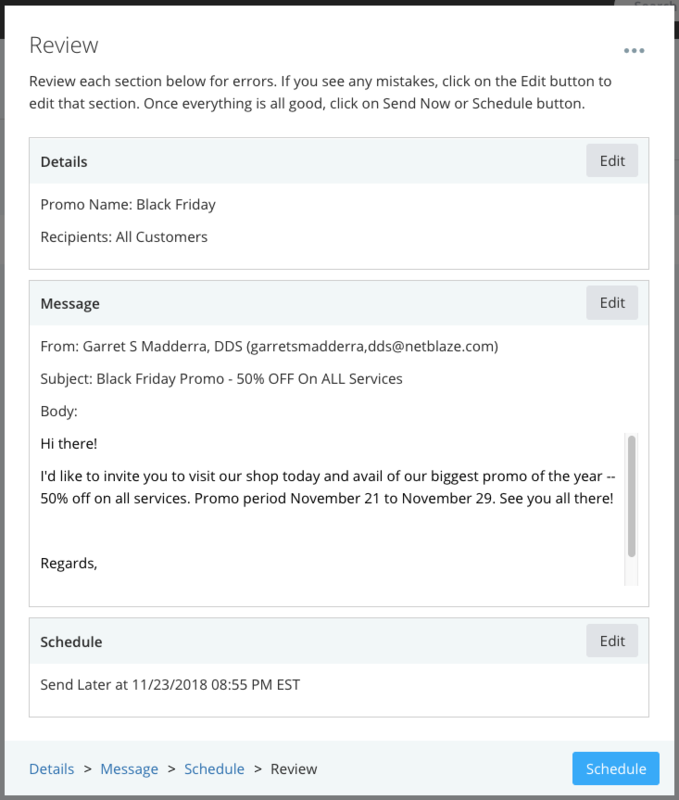 Click on the Email tab and then click on Create Promo button. 3. You should see the Details modal. Fill in the Promo Name and click Next. 4. You will be redirected to the Message screen. 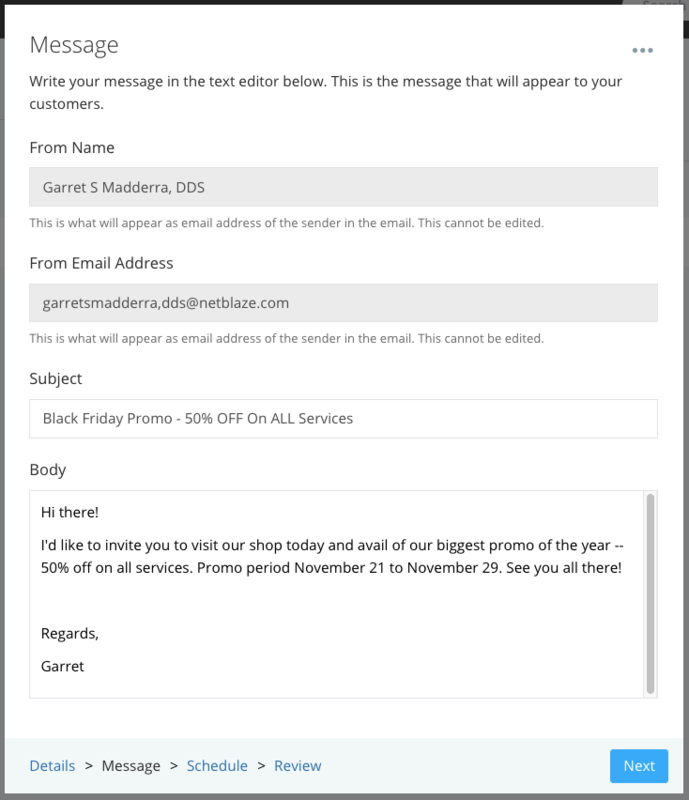 The From Name, Email Address are auto-populated by your email address and your business name. You won't be able to change that. You can, however, change the Subject and body. When done, click Next. 5. This will take you to the Schedule modal. If you want to send the message right away, select Immediately. If you want to send the message at a later time, you can select Send Later. When you select Send Later, you will see two new fields for selecting the date and time. Just select the date and time for when you want to send the message. Once done, click Next.